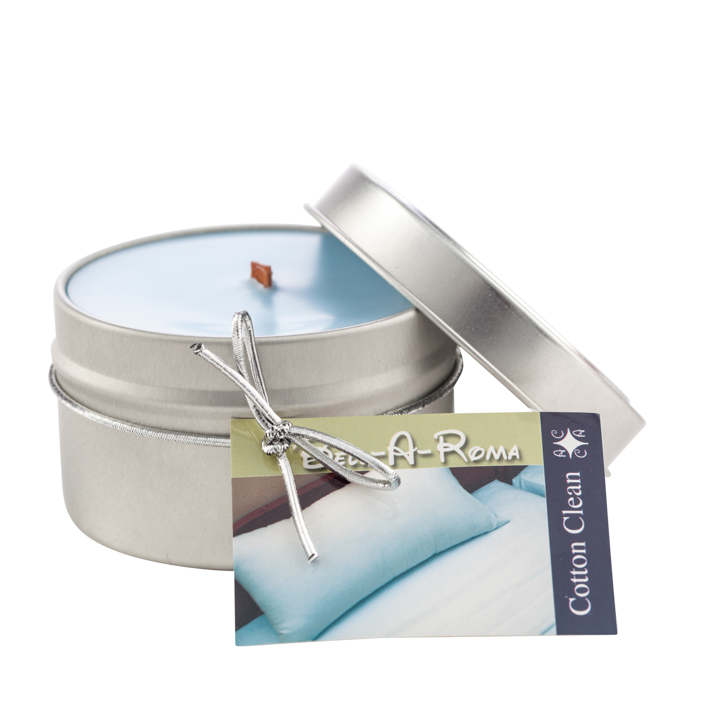 Wholesale scented travel tin candles for private labeling in black tins. Just create and print your label or have us print it to create your own candle line. Now you can choose the wick type, fragrance and colors. Choose up to 8 fragrances and select color for each fragrance. 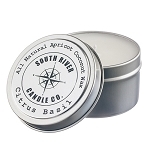 Hand poured ultra scented soy black travel candle. The soy travel candle is available in over 130 fragrances. 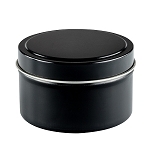 Black soy travel tins are black tin and lid that measure 2.75 inch diameter by 1.75 inch tall and hold 6 ounces of wax or let us print your designed label and adhere it to the tin. Great candle to start your own candle business. If you are ordering for private label and would like to place a label on the lid a 2.5 inch round label fits the lid perfect. If you need all natural wax just select the apricot coconut wax.